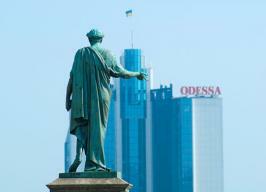 For decades, Ukraine has been enrolling prospective students from foreign countries. Since 1946, Ukraine institutions of higher learning have trained approximately 250,000 specialists from more than 160 countries. With a Ukrainian diploma in hand you can start a career or continue your education in any country of the world. Together with other countries, Ukraine is working to simplify the procedure for recognizing education documents. The Ukrainian educational system is recognized by UNESCO, UNO, and other influential international organizations. If you or people close to you are contemplating a country to go for a higher education, we suggest you to consider Ukraine. It may be that one of the many Ukrainian universities offering a high-quality education will meet your needs. It has always been very prestigious to study abroad. A specialist holding a diploma of a foreign educational institution brings into his or her professional practice knowledge, skills, and promising ideas from other countries. In the modern dynamic and open world, when companies look and go beyond their internal markets, knowledge of the cultural, social, and economic specifics of other countries is especially in demand.